Before the lights come up on the big stage in any city the Outcry Tour performs in, you’ll find something special happening backstage. In the hours leading up to the show, the musicians bring together pastors and church leaders from across the region to help build new connections for ministries in that area. It’s one of the best parts of the tour for Chris Brown, lead singer of Elevation Worship based in Charlotte, North Carolina, and he jokes, not to be confused with the other artist of the same name. 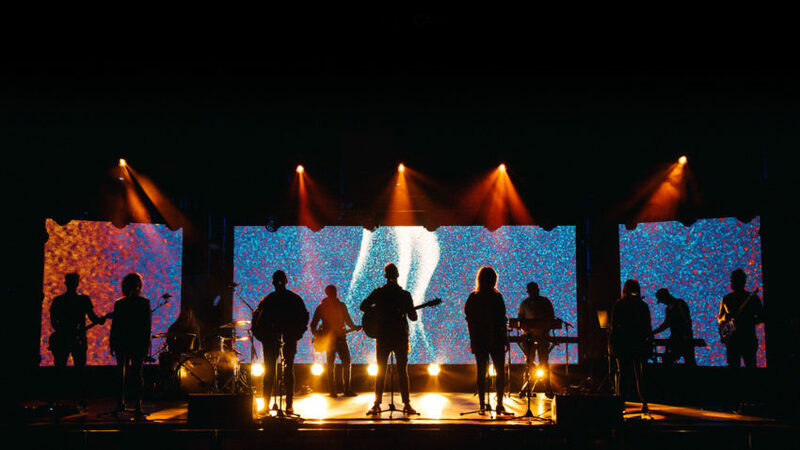 The Outcry Tour brings together Elevation Worship, Bethel Music, Mosaic MSC, Vertical Worship, and Christine Caine in April. Collectively, the different worship groups pray that the tour will help bring people together and plug them into the local church. 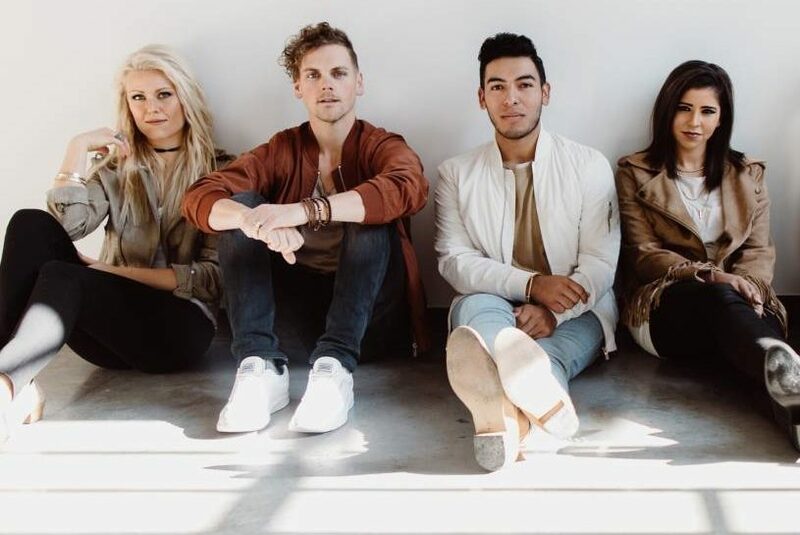 World Vision has partnered with the Outcry Tour and caught up with Chris to hear what’s on his heart before he heads out on the road this spring. You’ve been on a couple of these tours now, so what’s special about this year’s tour? I’m excited to go out with new artists and make some new friends. The Outcry Tours we’ve been on have all had such a good family synergy offstage and backstage. At the same time, it’s felt different tour to tour based on the artists. The tour is really trying to promote that connection happening artist to artist. That’s such a great picture of what God is doing in his church right now — there aren’t boundary lines being drawn up. The tour is trying to indirectly speak against that and say, ‘See what we’re doing hand in hand.’ The family is growing in that sense because we haven’t had a chance to tour with all of the others yet. It’s showing what God’s continuing to build across his church. Why is it important to show what God is doing across the church? Any display of unity and linking arms is so important right now — the authenticity behind unity and not just a storefront display of, ‘Hey! Look! We’re doing a tour together. We’re unified. Get it?’ It actually is happening, and it actually is the atmosphere that’s set by the teams. Authenticity is always going to win out, and that’s an open platform for God to put his hand in the middle of something — maybe unique collaborations start happening that mean way more than music collaborations. We’re hopefully becoming a window for people to see that it was never meant for the church to have lines drawn, and this isn’t about a competition. It’s hopefully remedying some of that. It’s vital right now. What else do you want people to get from the concert? I would want nothing more than for them to leave truly having an encounter with God that’s going to last and be rooted in their spirit and their heart. For the person coming, our prayer and our heart is always that we truly hope something shifts in your spirit tonight — something will start being redirected in the spiritual realm and the spiritual sense of how God is working in your life, the calling he has on your life, and the purpose he has for your life. It’s just special. Any time we have an opportunity to lead worship in front of a group of people, it’s special — that can be an opportunity to be a milestone in their whole calling. They’ll look back knowing that maybe that was a turning point or a confirmation that they’re heading in the right direction with their pursuit. It’s a massive responsibility that we have and quite a blessing that we would potentially have a voice to speak into their life. It happens directly, but it also happens not face-to-face in a conversation, but in that God would allow the music from the worship those nights to transfer that dialogue into someone’s heart. Is that part of what motivates you as an artist? For sure. It’s what grounds me, and it’s what we come back to as a team week-to-week here at church. We never stop talking about the impact that someone is possibly going to have because we’re helping set an atmosphere of worship that’s allowing them to experience God’s presence. 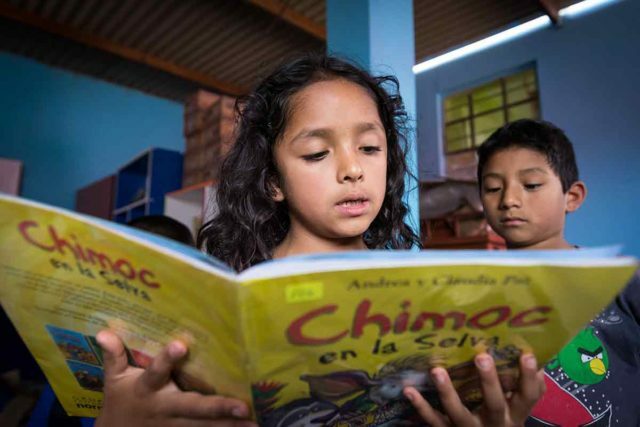 That Presence can move people to action as well, so why is the partnership with World Vision important? 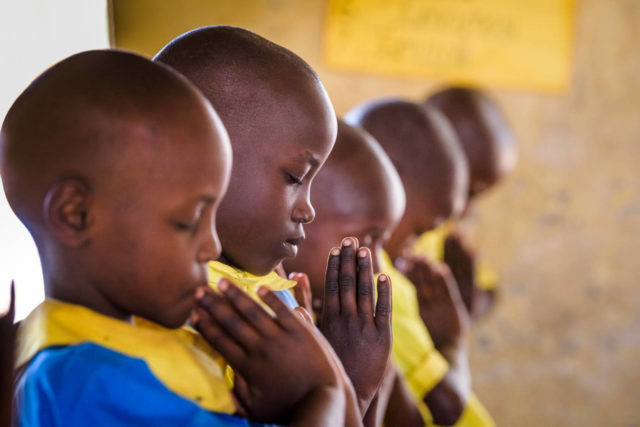 We love being out with World Vision and love everything about what it means to sponsor a child. Personally, that’s close to our family’s heart. My wife and I have sponsored for years. The number of kids that get sponsored night after night through Outcry is incredible. What a platform to be able to have people in the arena, church, or wherever we are captive to share such a compelling testimony or vision. I love the opportunity and that it’s there. How has child sponsorship been a part of your family’s experience? We’ve sponsored for 10 or 11 years a couple different kids. Pre-our-own-kids, for us, it was almost a decision that we didn’t think about a lot in the sense that we just wanted to establish a routine of generosity monthly that we were thinking about others more than ourselves. We established this rhythm of, “Hey we’re helping care for someone that maybe we’ll meet one day, maybe not.” Now we have kids of our own — they’re 7 and 5 — and it’s such a great conversation to have while raising kids of your own. It’s a great teaching opportunity. They’re a part of writing letters, and they send things at Christmas. Even this morning, Beth my wife told me, “We can give above and beyond in general to help the family,” and our kids are part of that. They hear us talking about it, and we’re including them. It’s never been that difficult of a choice for us — let’s do what we can. It’s establishing a rhythm just like tithing. I want my kids growing up giving 10 percent to the church. If nothing else, when they get to be teenagers, they’ve been in a rhythm of giving back to God their whole lives. I see this the same way. It starts as a rhythm, and then you see the heart, spirit, and everything else come along too, so we love it. How else do you talk to your kids about poverty? Learn more about the Outcry Tour.